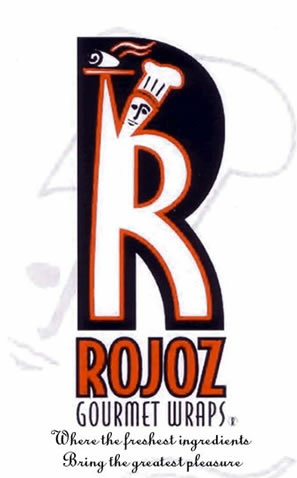 Online ordering menu for Rojoz Wraps. Rojoz is a combination of traditional Baja Californian cuisine with a modern approach to gourmet specialties. Gourmet recipes from around the world are rolled up into tasty wraps, like our "Best O' Pesto Chicken", "Lone Star BBQ", or our "Chinese Chicken Salad Wrap'. These wraps are conveniently packaged meals that keep up with active lifestyles. Rojoz serves a need for people who enjoy quality gourmet meals but are too active or busy to wait for conventional full-service. Quality crafted meals made with the freshest ingredients, that's how we roll! Order online today for quick and easy carryout. We are located at 3906 Middlefield Road, just 10 minutes west of Shoreline Park and Moffett Federal Airfield.